I challenged myself yesterday. I had about one hour alone with an empty house. Could I write and record a new song in that time? 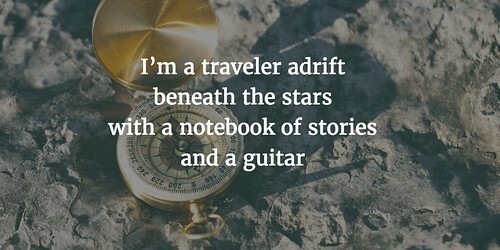 I grabbed my guitar and sheet of paper, sat on the floor, and started writing. What came out was this song: My Compass Pointed North. It may nor may not be inspired by the images of the mass evacuation going on down south right now. I quickly set up my microphone and recorded a demo. It came out OK, I think. This entry was posted in music, Songwriting. Bookmark the permalink.